Despite the great number of technological advances available worldwide, phone lines are still a primary source of communication for businesses. The ability to have a phone conversation offers a personal aspect to communication that social media, email, and other non-voice forms of communication cannot replace. There are a wide variety of phone number options for businesses, including local numbers, toll free numbers, virtual numbers, and virtual toll free numbers, and the choice really depends on one’s specific business needs. For a business that is aiming to establish a more local presence in a market, a local phone number may be the best option. United World Telecom offers local numbers worldwide for both business and personal use. Particularly small business owners may find that the use of local numbers worldwide is a better alternative for their specific business goals. If a company is fairly small in size and operates within a fairly local area or within just a few regional areas, purchasing and setting up one or more local numbers worldwide may be the option that is a better fit for their business model. United World Telecom sells local numbers worldwide, which are set up virtually and can be complemented by a variety of features to optimize efficiency and ensure ease of use for all types of businesses. One feature that is offered by United World Telecom to complement local numbers worldwide is called call forwarding. Business owners may have to travel often and in an effort to not miss important calls while traveling, the business managers may wish to have calls forwarded to them while they are traveling. United World Telecom can set up local numbers worldwide to have incoming calls forwarded to either a landline or mobile phone line of the business owner’s choosing. Another instance where local numbers worldwide may be a good option is when a business that may be physically located in one state aims to grow and reach other markets without having to establish physical locations in each of those markets. Expanding and opening physical locations in a number of different markets requires a large financial investment. With local numbers worldwide, a business may list local phone numbers on their website for the markets where they aim to expand their reach and convey the message that they are expanding to that market without having to open a physical location and employ staff in that market. Research has indicated that for some types of businesses it is best to present a more local, hometown feel and offering local phone numbers to potential customers is an easy and convenient way to move in that direction. Calls made to these local numbers worldwide can then be rerouted to a mobile line or landline of the business’ choosing. For example, a business that is based in Florida may wish to establish a local presence in several cities and towns across the Western portion of the United States. United World Telecom can assist the company in purchasing local numbers in those cities and towns along with any accompanying features that would help to make business communications easier for those running the company. The company may then place their local numbers for these new target cities and towns on their website, social media pages, and other marketing materials to announce the expansion and give customers and clients in those markets the message that they are committed to business in their local area. This has been proven to be extremely beneficial for some businesses. United World Telecom has been focused on providing both business and personal use customers with local numbers worldwide, as well as many other types of phone numbers and features for decades. 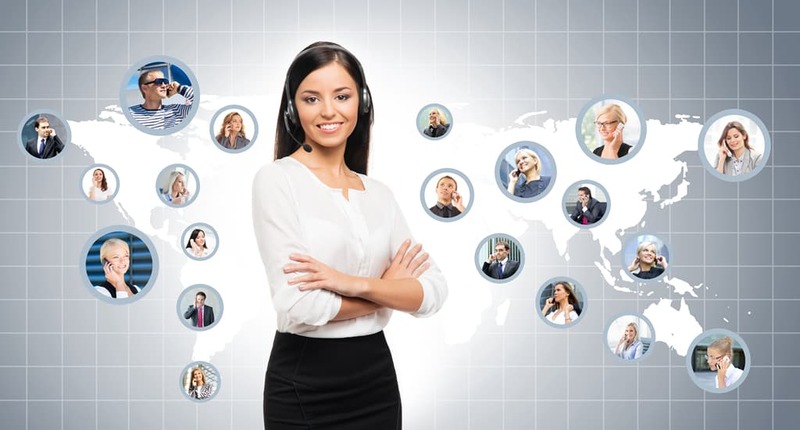 The level of customer service and technical support offered by United World Telecom is extraordinary as United World Telecom is supremely focused on ensuring customers are offered the products they need at a price that is competitive and with the most versatile ease of use.